The word "liturgy" comes from a Greek word that means "work of the people." It refers to fixed forms of worship that enable congregational participation. The early Christian church worshiped liturgically from the beginning. It inherited liturgical forms from Jewish synagogue and Temple and developed these forms in the light of the revelation of God in Christ. 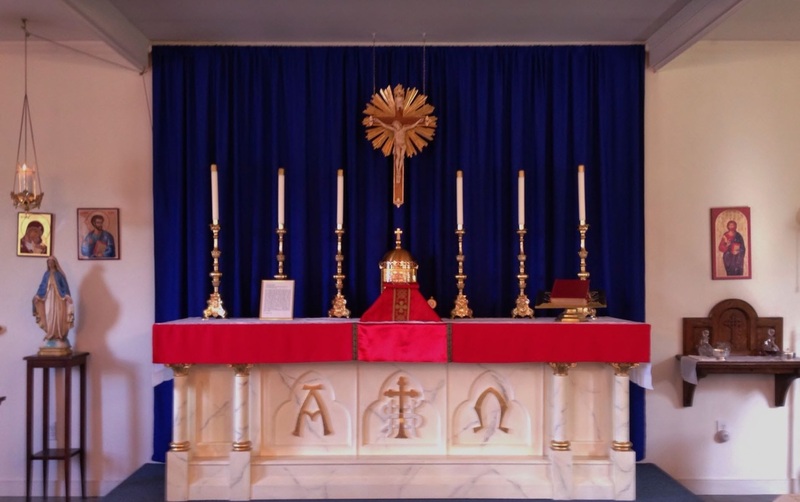 At St. Luke’s we continue in this tradition by shaping our liturgy on the original English liturgy developed in the 16th century during the English Reformation and passed down to us through the 1928 Book of Common Prayer and the Anglican Missal. Our preference in music is traditional hymns, but occasionaly we sing newer (but theologically sound and reverent) selections from contemporary composers such as Michael Joncas, Dan Schutte, John Rutter and Christopher Walker. Anglican worship is participative rather than passive. The congregation does not just sit back and listen as if in attendance at a concert or a lecture. During worship Anglicans “stand to praise, kneel to pray, and sit for instruction". We also leave our pews and process to the altar rail to receive the Body and Blood of Christ in the sacrament of Holy Communion. In addition to singing and praying, many Anglicans also express themselves during worship by bowing, making the sign of the cross and genuflecting (kneeling on the right knee) at appropriate points in the liturgy. The principle service for Sunday worship is the service of Holy Communion, also known as the Holy Eucharist, the Lord's Supper, the Mass, or the Divine Liturgy. The service consists of 3 sections: the Entrance Rite, where we assemble to praise and pray; the Liturgy of the Word, where we read the Word of God from Holy Scripture and hear it explained; and the Liturgy of the Eucharist, where we are strengthed by receiving the Body and Blood of Christ in the sacrament of the altar. By continuing in the breaking bread, sharing of the cup, and the prayers, we proclaim Christ’s death and resurrection until he comes again. Do not worry if this sounds rather complicated or confusing. Our Liturgy may seem formal, but we are very friendly! We enjoy greeting visitors and will be glad to help them during the service. Our worship bulletins assist with directing us to the correct page in the Book of Common Prayer and have reminders on when to kneel or stand.